McKee's 37 Universal Detailing Clay lets you clay your way to a silky smooth finish with a bright glossy shimmer! Home > Shop By Brand > McKee's 37 Waxes, Compounds, Coatings > McKee's 37 Universal Detailing Clay 4 oz. Clay your way to a silky smooth paint finish! 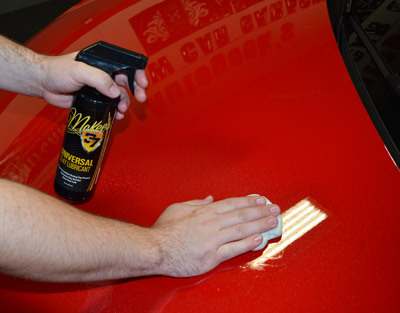 McKee's 37 Universal Detailing Clay is a special clay compound that safely and quickly removes contaminants that penetrate below the clear coat surface. Detailing clay is the professional detailer’s secret to glassy smooth paint. Clay works by grabbing foreign particles and pulling them out of the clear coat as you rub the bar across the paint surface. Washing only removes surface contaminants, but your vehicle may still have microscopic particles embedded in the clear coat. These particles are hard to see individually, but together they can cause dull, rough patches that detract from the paint’s appearance. McKee's 37 Universal Detailing Clay will remove these contaminants and restore a glassy smooth finish to your vehicle. Once wax is applied, the paint will feel silky smooth and have a bright, glossy shimmer. If contaminants are allowed to remain lodged in your vehicle’s paint, they create tiny openings in the protective clear coat. Over time, air and water can enter these openings and cause widespread oxidation. Claying your vehicle periodically will prevent paint system failure and enhance the performance of your favorite wax by creating an ultra-slick surface. Detailing clay can also be used to remove stubborn debris from wheels. Wash them first using McKee's 37 Foaming Wheel Cleaner Gel. Spray McKee's 37 Universal Clay Lubricant over wheel surface and clay your wheels just as you would clay the paint. Since its introduction, detailing clay has been priced according to its limited demand. Now that the use of clay is more widespread, McKee's 37 Universal Detailing Clay can be offered at a price that professional detailers and at-home perfectionists will enjoy. Experience the difference clay makes on your own vehicle with McKee's 37 Universal Detailing Clay. Use McKee's 37 Universal Detailing Clay on a freshly washed vehicle. Spray area to be clayed with McKee's 37 Universal Clay Lubricant. Gently rub the clay bar back and forth across the wet surface. Clay will grab initially. Continue moving the bar until it glides freely. Wipe off clay residue. Reshape bar often to reveal clean clay as you work. The secret to preserving and extending the life of the clay material is to spray the clay bar with lubricant prior to storing it in its plastic case. McKees detailing clay has done everything I expected and more. 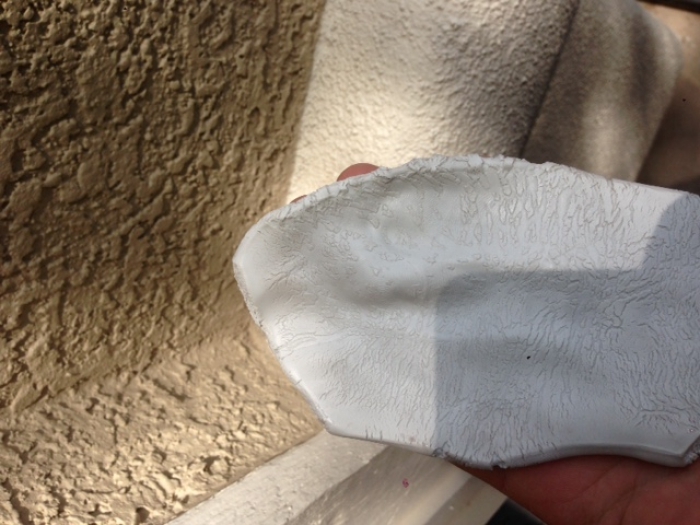 It easily lifts oxidation and contamination from the paint. 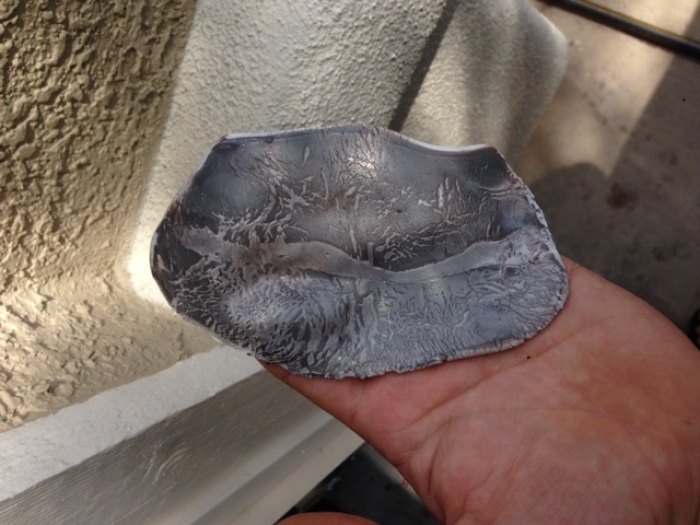 It is not brittle like other clay products I have used in the past. Very pleased as always with McKees 37. I just tried it on my first car and be warned its not a "malleable" as some bars and seems a bit "stiff" but does the job none the less. Consdifficult to knead after moving to another panel. This was my first clay bar experience. I was initially looking to my the Pinnacle XTM clay but found that it was discontinued so I bought this and I also bought the clay lube that if for this bar. It worked well and really cleaned up the old my on my 82 silverado. Te only problem I had which may be more associated to the extremely hot weather out here in vegas is that I really had to burn through the clay lube to keep the bar from sticking, but I was probably doing this project in much too hot of weather in my driveway and the lube was evaporating too quickly, not a product flaw, I just picked the wrong time to do this job. Here are a couple photos of the very first 2x2 square I did.